An elegant pair of stained dark wood and black side or end tables with cut to size protective glass tops (removeable). 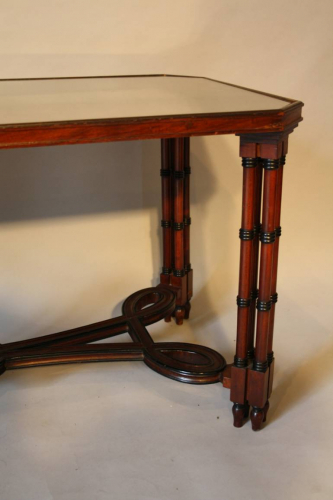 Lovely four cluster column leg detail joined by a looped and curved stretcher. Valenti, Spain c1970.